This booklet is a health promotion initiative of the Occupational Therapy Department, Southern Cross University, developed by Laura Burritt and Sarah McCarthy, Fourth Year Southern Cross University Occupational Therapy Students. The National Disability Insurance Scheme (NDIS) roll-out date for the Gold Coast region is July 2108. It may feel far away but there are a number of things that you and your family can start to do now so that you are ready for the introduction of this new government scheme. To provide you with information that will help you learn more about the NDIS and what it will mean for you and your family. To guide you through the pre-planning stages of your NDIS journey to better prepare you for the future. To be used as a practical tool with your future NDIS planner so that you can easily identify and communicate your wants and needs. 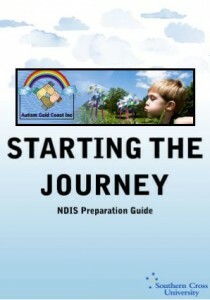 Click on the title: Starting the Journey: NDIS Preparation Guide to view the online booklet. 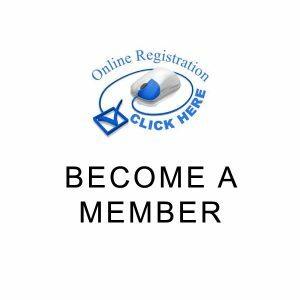 For further information visit the NDIS website www.ndis.gov.au. Further information for families and service providers participating in the Helping Children with Autism (HCWA) Early Intervention Transition to the National Disability Insurance Scheme (NDIS), has been released by the Department of Social Services and can be found here.